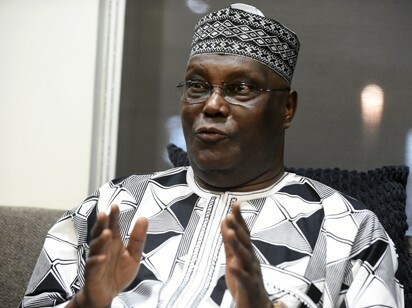 DUTSE—Former Vice President and Peoples Democratic Party, PDP, presidential aspirant, Atiku Abubakar, is hoping former Jigawa State governor, Sule Lamido, would step down for him in the forthcoming party’s presidential primaries schedule for this month. Atiku, who made the disclosure when he visited Jigawa State in continuation of his tour to canvas support a head of PDP presidential primaries, said the visit was aimed at seeking the support of Lamido, who is also a presidential aspirant, adding that the party would continue to strategise to take the mantle of leadership from the All Progressives Congress, APC. Atiku said he was not in Jigawa to campaign but visit PDP members in the state and his junior brother, Sule Lamido. He related the incident that happened in 1993 under the Social Democratic Party, SDP, in Katsina State when Umaru Musa Yar’Adua stepped down for his brother, Shehu Musa Yar’Adua. Atiku said elders of the state approached Shehu Musa Yar’Adua that there was no way they could support him as Nigeria’s president and support his younger brother as governor of Katsina State as they happened to be of the same family.